The Potato Diet or Potato Hack is a short term diet tool to get relatively quick results in weight loss, digestive health and other areas. It is not a ‘way of eating’ in the sense that the Paleo diet or even the ketogenic diet are. It is a short term way to lose weight, reduce inflammation, re-set appetite to help kick-start weight loss and a healthier way of eating. It was originally developed by a doctor in 1849 and appeared in a medical journal. Its use at that time was to address the fact that people were becoming ‘fat and ‘dyspeptic’’ i.e. that people had weight and digestive issues (1). Given that this is an even greater problem today, the idea of the potato diet has been rediscovered and brought to light by Tim Steele with his book The Potato Hack, published in 2016. The potato hack diet is a very simple idea, which makes the diet easy to follow. Essentially the only thing eaten is potatoes. You eat 2 – 5 pounds of potatoes per day, depending on your appetite. No other food is permitted on the diet. You can add a very small amount of sea salt or Himalayan pink salt if desired. We prefer that you avoid the salt but if you are craving it or find it will help you to stick with the diet, then add a little salt. You can drink black tea, herbal teas, black coffee (no added milk or sugar) and water. We recommend taking necessary medications and only half of your normal dosage of supplements. Don’t plan on doing heavy exercise while you are potato dieting. Light exercise or going for a walk is a good addition to the potatoes. There are a couple of options as to the best way to cook the potatoes. Boiling potatoes depletes many of the nutrients. We especially want people to benefit from the high potassium content of potatoes as most people are deficient in potassium. Option 1 is to boil the potatoes in filtered water and let them cool for 24 hours in the fridge. Save the water as many of the nutrients in food get lost in boiling. Refrigerate the water and drink that throughout the day, as you eat your potatoes. Option 2 is to bake or steam the potatoes, then cool them for 24 hours in the fridge. Recipes are available in The Potato Hack book if you need inspiration. Eating the potatoes cold or at room temperature preserves the resistant starch, which is created by cooking and cooling the potatoes for 24 hours. 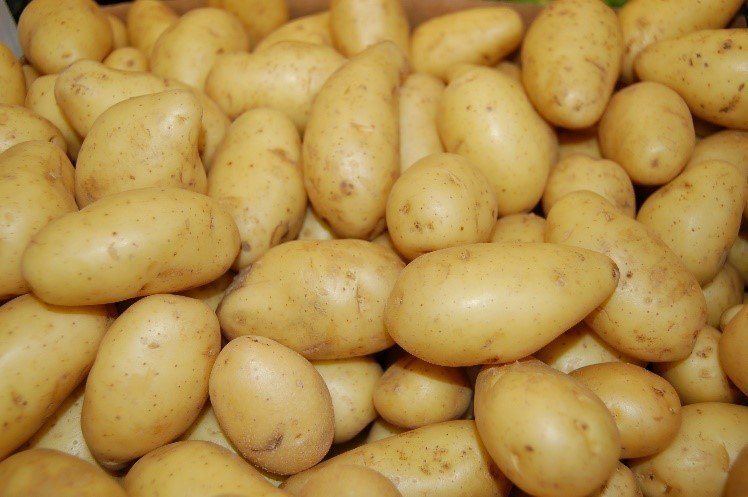 This is an important step as increasing your resistant starch is one of the main benefits of the potato diet and will be discussed later on in this article. If you re-heat after having cooled them for 24 hours, you will destroy some of the resistant starch. If, for some reason, you are sensitive to resistant starch and feel bloated after eating the cooled potatoes, then eating them hot would be appropriate and recommended. For how long should you follow the potato diet? This really depends on your goals. You can use the potato diet until you reach your goal weight. The diet can be done in one long stretch. There are people who have done it for 10 days or for 1 month and even for 1 year. But we recommend breaking up the potato diet with days of normal eating. We generally recommend that people follow the potato diet for 3-5 days. You can start with 3 days and then work your way up to 5 days. A nice way to do it is on a weekly basis. For example, you could do the potato diet for 3 days for the first week, then eat normally for the rest of the week. The following week you would potato fast for 4 days. Then in the third week, you would potato fast for 5 days. You keep coming back to potato dieting each week until you hit your goal weight. So this could look like the following; Monday through Friday are potato diet days. The remaining 2 days of the week you can eat normally. If you socialize on the weekends, this means you can still do so. There is a lot of flexibility with this diet so you can find a way to make it work with your lifestyle. Some people may be concerned that only eating potatoes is not enough nutrition. You may find that your friends and family comment and question you on your potato diet. Therefore it is good to know that potatoes provide adequate nutrition and will certainly be able to sustain you throughout your potato fasts. We’ve used Cronometer, a nutrition tracking website, to find out what nutrition 3 pounds of potatoes provides. As you can see, potatoes are relatively low in calories, high in fiber, low in sugar and provide adequate protein, as well as vitamins and minerals. They are carbohydrates which many people are avoiding these days on low carb diets. However, the carbs of potatoes cooked and cooled for 24 hours are resistant starch, which has multiple benefits. Resistant starch (RS) is a type of starch that we cannot digest. It is not digested in the stomach or small intestine, and is able to reach the large intestine. In the large intestine, the good bacteria will use the resistant starch to make short chain fatty acids (SCFAs) through a fermentation process. Because RS ‘resists’ digestion, it does not cause a spike in blood glucose levels. Therefore less insulin is produced in response. Studies indicate that RS reduces blood glucose levels in response to a meal and may improve insulin sensitivity. RS also leads to a lower appetite and reduced fat storage (3). All of these effects will contribute to weight loss. In addition, resistant starch greatly improves the health of the microbiome through short chain fatty acids. SCFAs are important for maintaining gut health. They decrease inflammation, stimulate healing and help reduce the amount of dysbiotic or bad gut bacteria. SCFAs decrease the pH of the intestines, which keeps bad pathogenic bacteria and yeast at bay, as they cannot survive well in an acidic environment (4). Butyrate is one of the main SCFAs produced by RS. Butyrate is anti-inflammatory and helps to reduce intestinal permeability or leaky gut. This is critical in keeping toxins in the gut and out of the bloodstream, helping to reduce the incidence of food sensitivities and possible autoimmune reactions (3). A disrupted gut microbiome is directly related to obesity. Repairing the microbiome should be part of any strategy to address obesity and weight issues. It is important to cook the potatoes properly to create RS. This is why we have suggested to cook them and let them cool for 24 hours. This is how the resistant starch is created. Thereafter, you eat the potatoes cool, at room temperature. If you re-heat the potatoes at high temperature, you will kill most of the RS. Another key benefit of the potato diet is its effect on satiety and reward systems in the brain. The hedonic system of the brain is driven by reward-based regulation. It can increase our desire to consume foods that are highly palatable (5). The reward value of food is what drives our food preferences and cravings. With plain food, you simply won’t overeat because the food in question is not rewarding. You certainly won’t eat as much as you would if the food were hyper-palatable. Plain potatoes are hypo-palatable or not rewarding. This provides a spontaneous calorie reduction. It’s not necessarily voluntary but because you can only eat potatoes on this diet, you will consume less calories naturally. Our modern food environment contributes to obesity with such an abundance of hyper-palatable foods. The potato diet is a way to take a step back from this and reset your brain and your appetite. Chris Kresser calls the potato diet ‘the most effective diet that I have ever come across for weight loss’ (6). You can expect weight loss of 0.5 – 1 lb. per day of potato fasting. There is minimal loss of muscle tone. If you are interested in trying the potato diet yourself, then speak to us about whether it is appropriate for you. The potato diet is generally suitable and beneficial for most people, but there are certain conditions for which it is contra-indicated. For example, if you have an autoimmune condition, then please check in with us first. Potatoes are a nightshade vegetable which can be problematic for some people with autoimmunity. People with a history of severe disordered eating may not do well on such a restrictive diet so we would not recommend this approach. Someone on Metformin or insulin should avoid the potato diet. It is best to speak to us first to be sure that the potato diet is the right approach for you. 1. Steele, T. 2016. The Potato Hack. Archangel Ink. 270 pp. 5. Lutter M, Nestler, E. 2009. Homeostatic and Hedonic Signals Interact in the Regulation of Food Intake. The Journal of Nutrition. DOI: 10.3945/jn.108.097618.